It might be August, but I’m still loving (and buying- oops) bright summer colors. It’s not fall yet! (She says, snapping up the darker blues and bronzes of Elevation’s Marco Polo collection.) 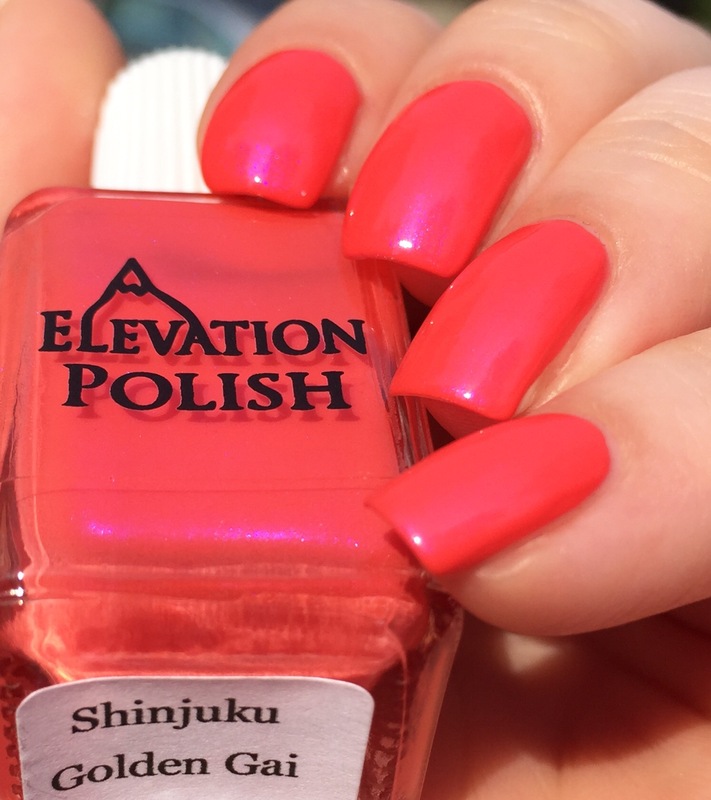 In honor of endless summer on my nails, I’ve got Elevation’s “Shinjuku Golden Gai” today. 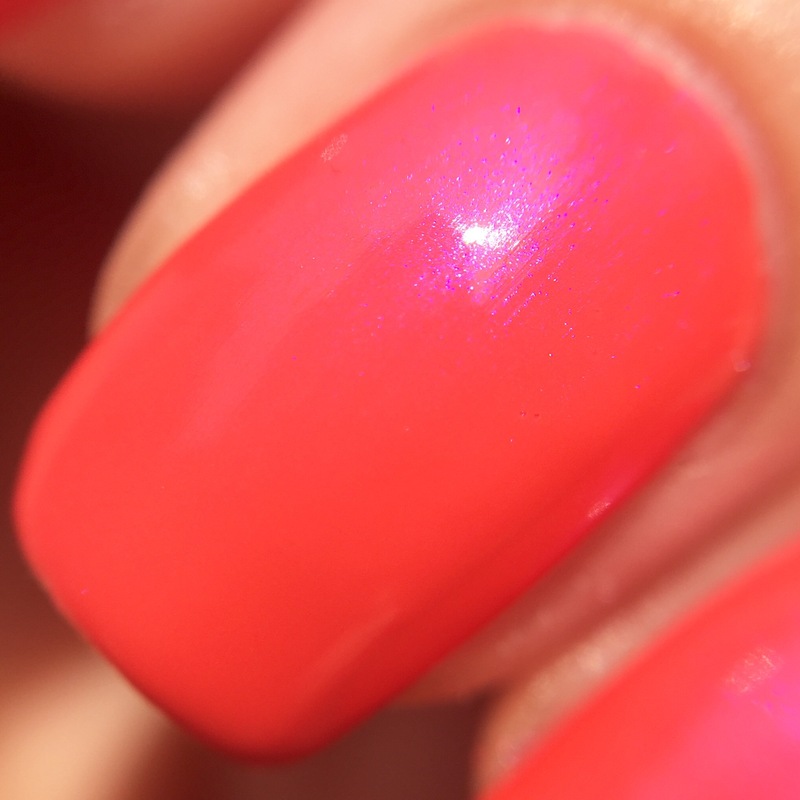 This is a bold neon pink/coral with a punchy blue shimmer that came out a few month ago. I’m not even a pink person and I felt super spunky wearing this. This polish was a teeny bit on the sheerer side (this is three coats), and was worried that I have have a problem with the formula being a bit thick. But I have to say, with a layer of top coat, all my fears were erased and I loved it. I think that the topcoat leveled it out a tiny bit and really helped the shimmer stand out. Here it is in the shade. You can see how the shimmer plays a bigger role without the sun making the neon go nuts. You can pick up “Shinjuku Golden Gai” at Elevation’s website. I’m always impressed with how many colors that Elevation has in stock at any given time- it makes it easy for me to pick up a whole bunch of different things without having to go crazy trying to schedule around a restock! This is pretty. 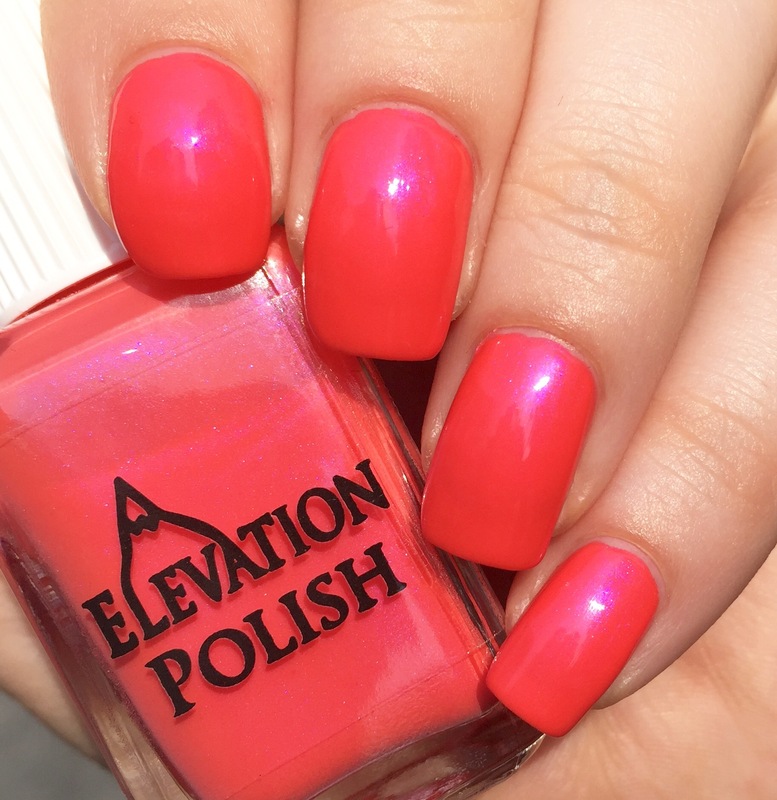 I have never tried Elevation Polish, but they are totally on my radar. I need to try it! I’m just starting to get hooked on them- there’s always at least one each collection hat catches my eye. I’m dying to get her whole newest collection (Marco Polo)! 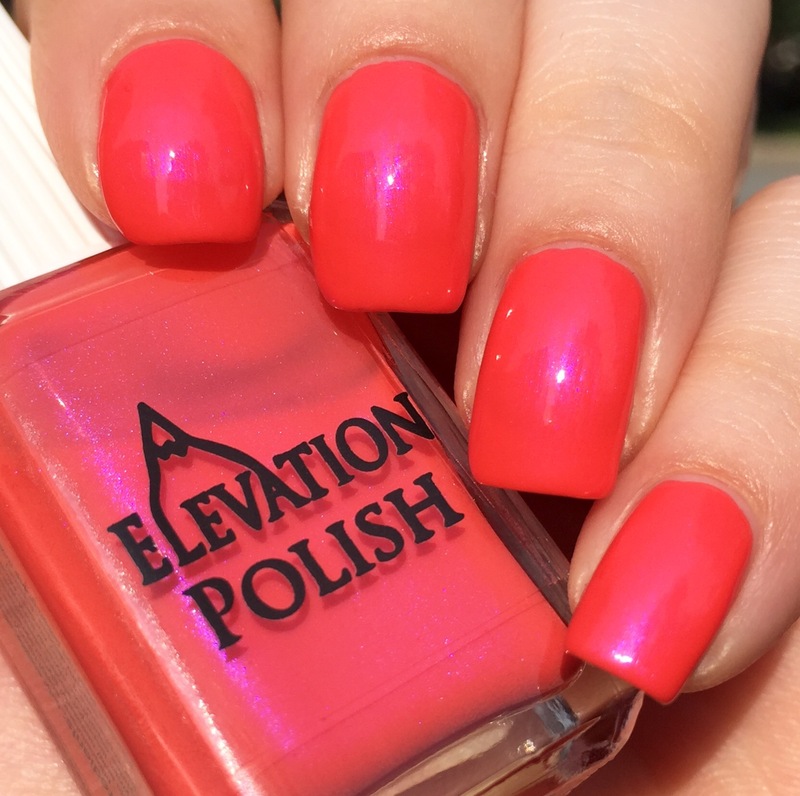 Elevation does some of the best shimmers. Gorgeous mani! Thanks! I agree- Elevation has some amazing shimmers. The way the blue comes out from underneath the bright pink in this is amazing. That shimmer! I just want to lick it! That shimmer is something else. I’ve noticed that a lot of Elevation colors have that extra something special. I think I need to pick up more of her colors! That shimmer is just WOW! Elevation is one brand that I need to buy more of. I love everyone that I try! Oh wow this is gorgeous!! You really caught it! I absolutely love this and that blue shimmer is just gorgeous! I love the subtle shimmer in this! 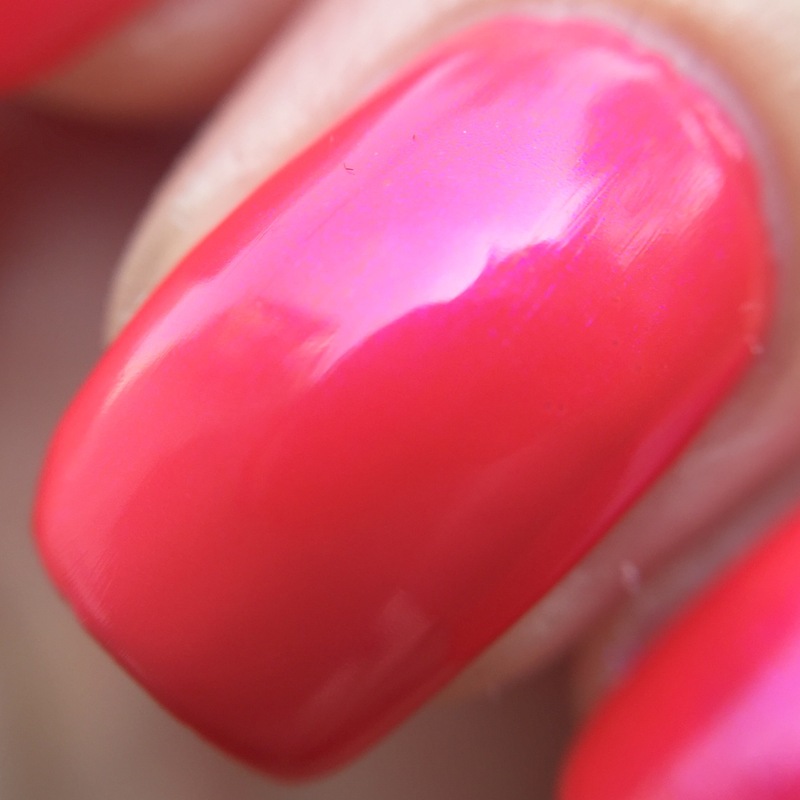 This reminds me of OPI Hotter than you Pink ..very pretty! Blue shimmers make me weak in the knees. Beautiful!